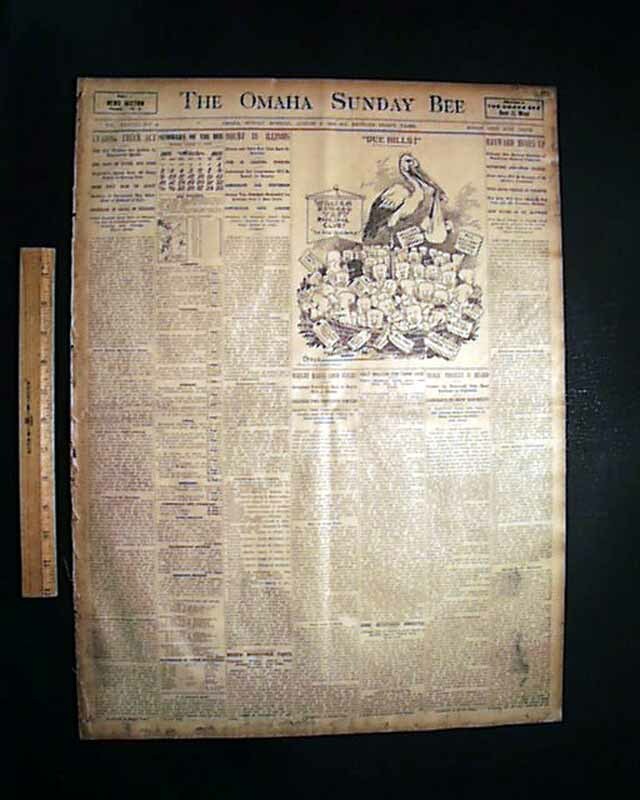 THE OMAHA SUNDAY BEE, Nebraska, Aug. 9, 1908 the middle of the ftpg. 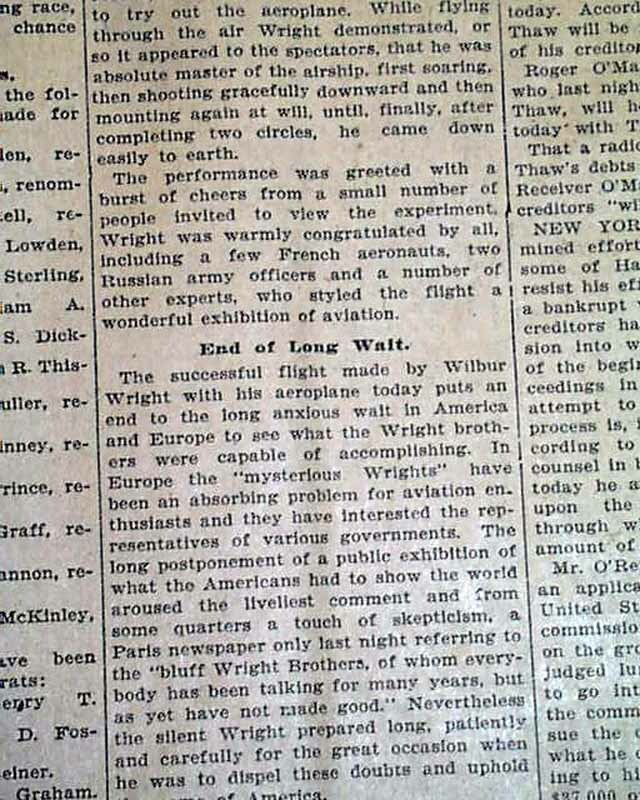 has a report of the first public flight by the Wright brothers, when Wilbur Wright took his plane to France and gave a demonstration to a crowd of skeptics near LeMans, France. 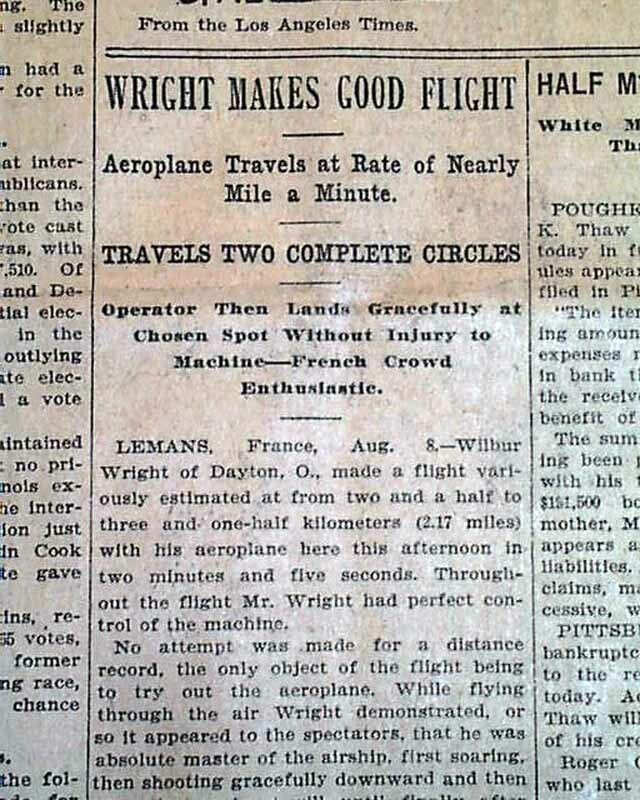 Because the Wright brothers had been so secretive since their initial 1903 flight (had yet to receive a patent), many around the world refused to believe they created an practical flying machine. 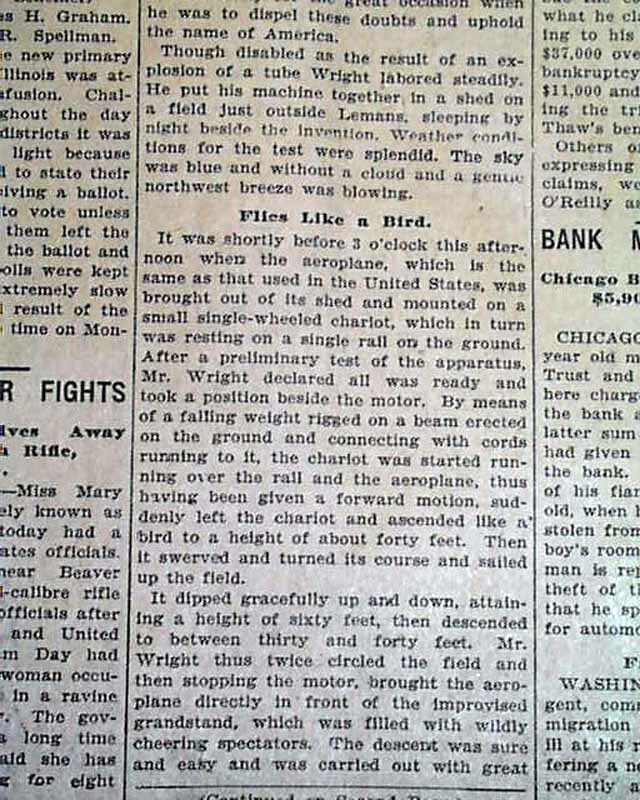 This successful flight on August 8, 1908, converted all skeptics and caused them to be heralded around the world. 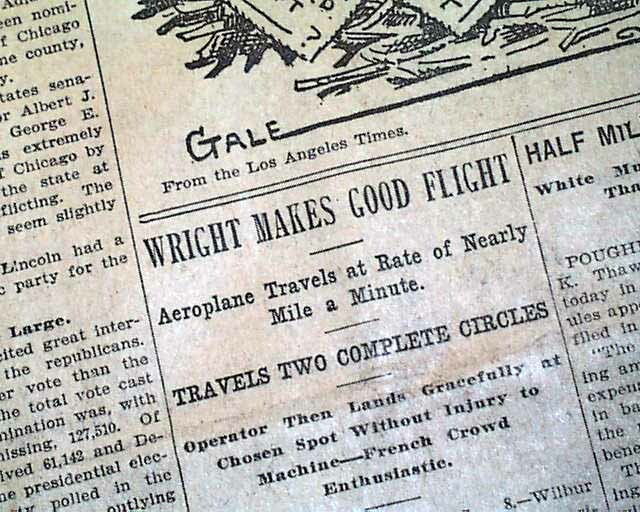 Great to have this report in the next day's newspaper, and on the front page. The report concludes on page 2. 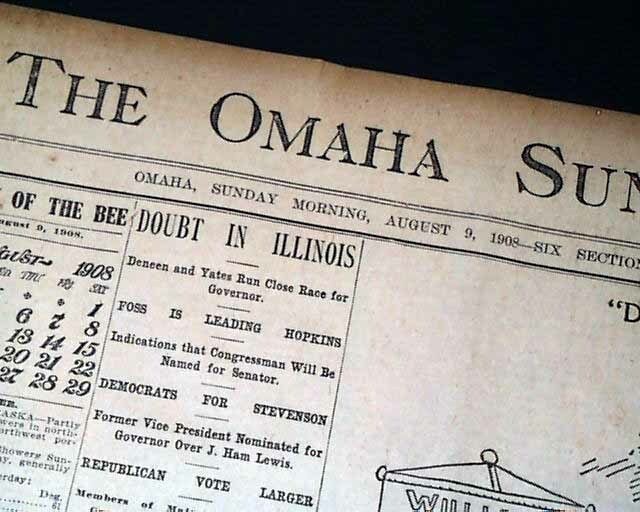 Complete in 30 pages, some staining near the margins with minor margin tears, a bit irregular at the spine, generally good.